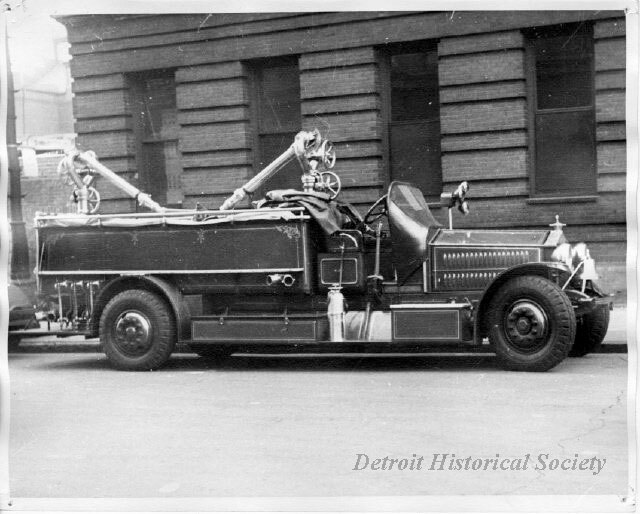 Description: 1922 Ahrens-Fox High Pressure Apparatus; This apparatus was used with the old high pressure hydrant system in downtown Detroit. This truck was originally designated as High Pressure No. 1 located at Wayne and Larned Sts. 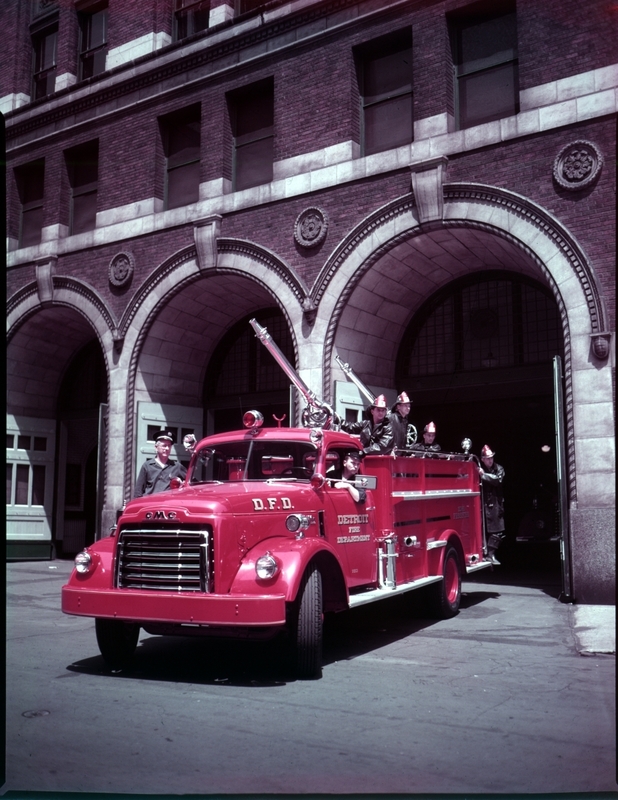 and is still in service today as a reserve boat tender for the fireboat. 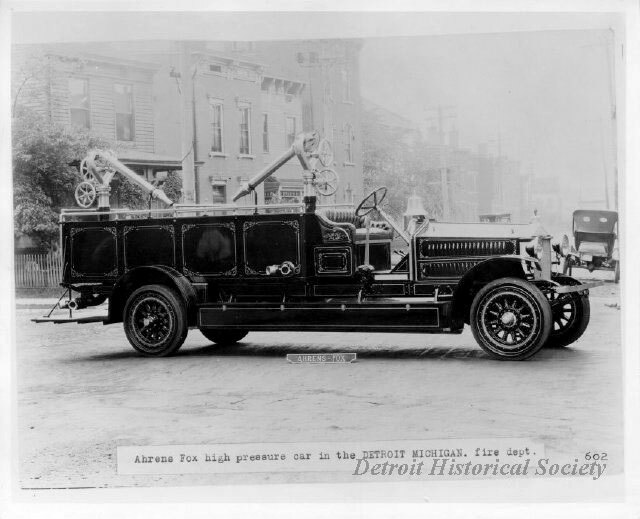 Description: High Pressure Wagon, 1922 Ahrens-Fox. Circa 1950. Description: High Pressure 1 on GMC chassis leaving E1-3, Wayne and Larned.